The lameness examination involves a combination of historical information from the client, visual examination of the horse in motion, musculoskeletal palpation and manipulation, and the alternating use of diagnostic blocking and advanced imaging to determine the source of pain or decreased performance. San Dieguito Equine Group (SDEG) provides numerous therapeutic treatments and can design a rehabilitation program specific to your horse's injury. Comprehensive examination prior to purchasing or leasing a horse is essential for identifying underlying health conditions that may exist in the horse you are interested in buying or leasing. The pre-purchase exam is tailored to your needs and can include advanced imaging, baseline blood work and drug screening, and consultation with our boarded specialists, if requested. Pre-purchase examinations can be scheduled at our clinic or in the field; please call our office to schedule your next appointment. Shockwave therapy is commonly used for treating lameness as a result of osteoarthritis in horses, although, it does not alter the course of the disease. Shockwave therapy expedites the healing process with soft tissue injuries such as tendonitis, suspensory strain, and lumbar myositis. Shockwave can be performed both in the ambulatory and clinic settings. Therapeutic ultrasound is an effective treatment for both chronic and acute injuries. 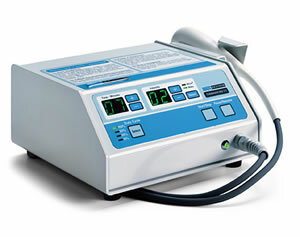 Therapeutic ultrasound machines work by converting electrical current into high-frequency acoustic energy waves. Ultrasound waves can travel one to five centimeters into the body’s soft tissues. The penetrating waves allow heat to travel further into the patient’s tissue. This allows for small vibrations of cells to change the tissues permeability and diffusion rates. As a result, inflammation, bruising, and healing time decrease. Thus, the horse experiences a more comfortable recovery period. San Dieguito Equine has multiple therapeutic ultrasound machines that are available for weekly or monthly rental. The use of IRAP is an effective intra-articular treatment for joint disease. The IRAP system is designed to stimulate the horse's own white blood cells to produce anti-inflammatory mediators and enzymes. These mediators and enzymes reduce inflammation caused by degenerative joint disease. Initially, the patient's blood sample is collected and brought to our clinic for incubation (24 hours) and processing.). After processing, the IRAP is ready to be used. However, additional doses may be stored at our clinic for up to one year. The injection process is typically done under sedation at the patient's field location. When injected into a joint, the protein-rich serum stimulates a regenerative response from cartilage cells, through a process of cell division and increased cell recruitment. This gives IRAP a disease-modifying component and an anti-inflammatory component. The serum also contains cytokines that act to reduce inflammation within the joint. In addition, there are other anti-inflammatory proteins produced during the incubation process that work synergistically with the cytokines to further reduce the inflammation within the diseased joint. PRP is regularly used to treat tendon and ligament injuries. The collection and preparation of platelet rich plasma is simple, non-invasive, and only takes about thirty minutes. Blood is collected from the horse's jugular vein and processed. The platelet rich portion is then collected and injected into the lesion. 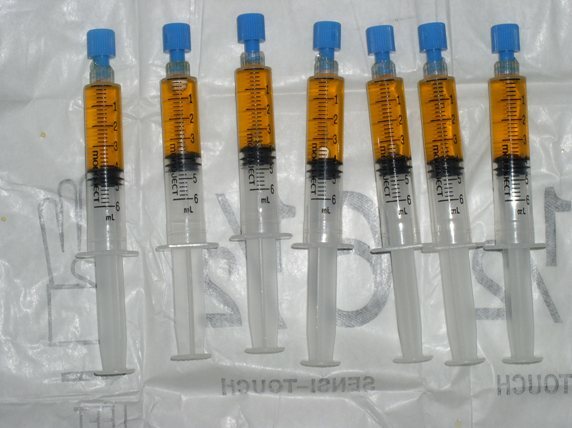 The use of PRP has been show to expedite the healing process. Stem cell therapy is commonly used for tendon and ligament injuries. Stem cells are undifferentiated (not specific to a certain tissue type) and thus, they have the potential for mass replication. This feature allows stem cells to differentiate into various types of cells in response to the region that they are injected into. The process of harvesting stem cells includes sedating the patient and collecting bone marrow from the sternum. The bone marrow and nutrient-rich serum that is collected and then sent to the laboratory for isolation and culture. The laboratory process of culturing stem cells results in a significant increase in the number of concentrated stem cells. Culturing of stem cells typically takes about seven to ten business days. Then, the stem cells and serum can be injected into the patient (at the injury site). Typically, the injection is done under ultrasound guidance to ensure accurate delivery of the stem cells to the injury site.